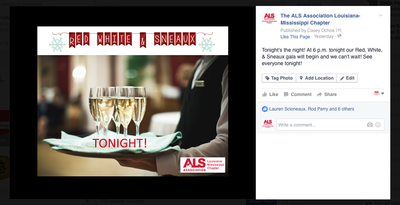 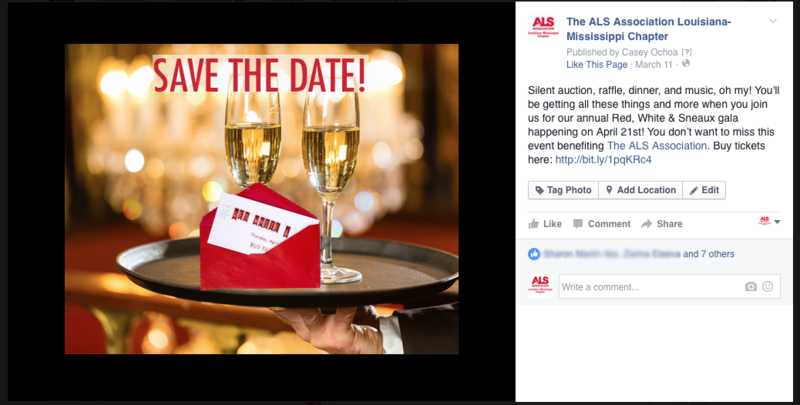 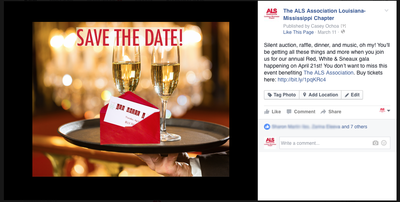 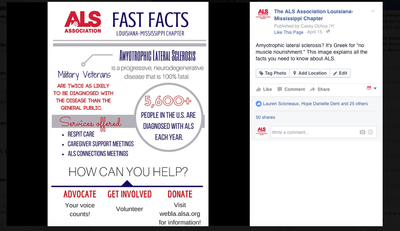 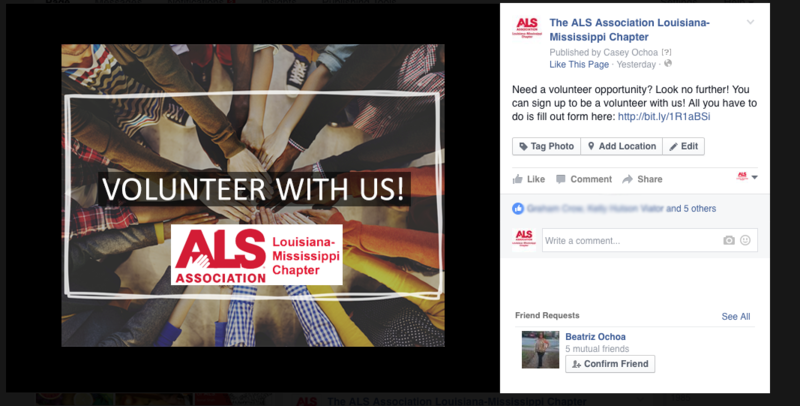 As part of my public relations campaigns class Spark PR was assigned The ALS Association Louisiana-Mississippi Chapter as a client, where we were in charge of events, fundraising, objectives, goals, strategies and tactics for our semester long campaign. 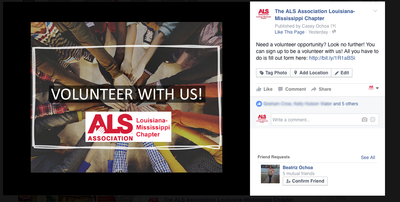 As co-strategy director it was my responsibility to develop campaign strategy, create strategic messaging and create action and response plans. 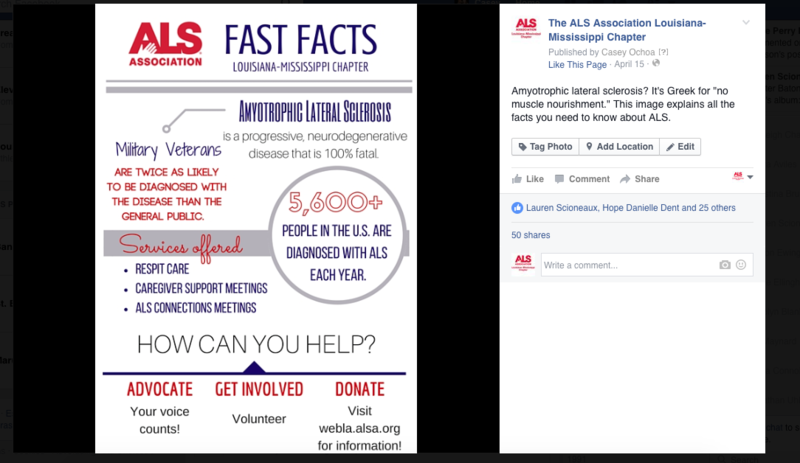 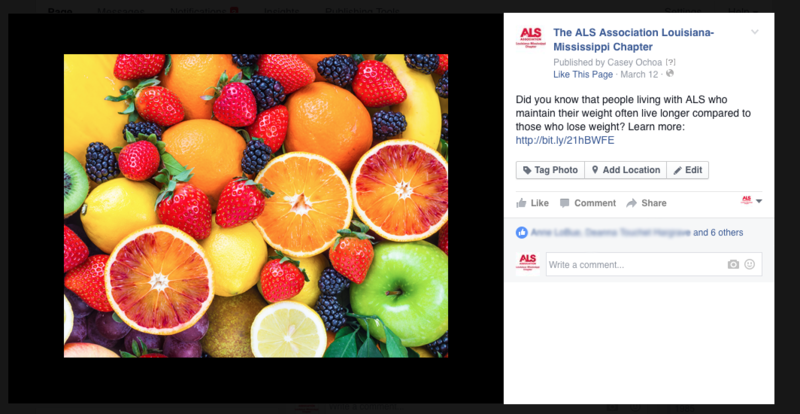 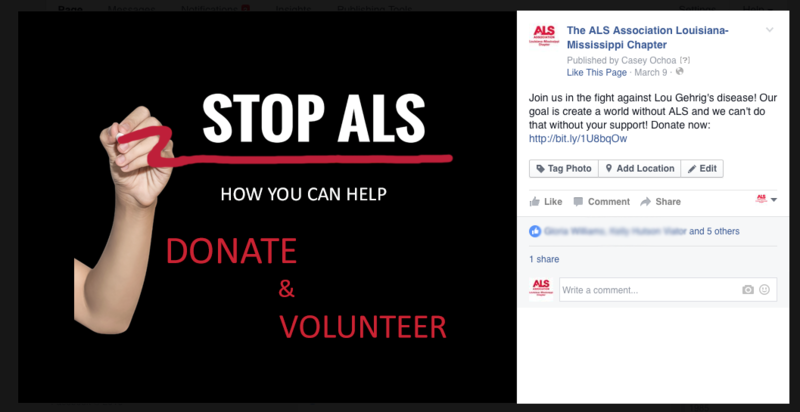 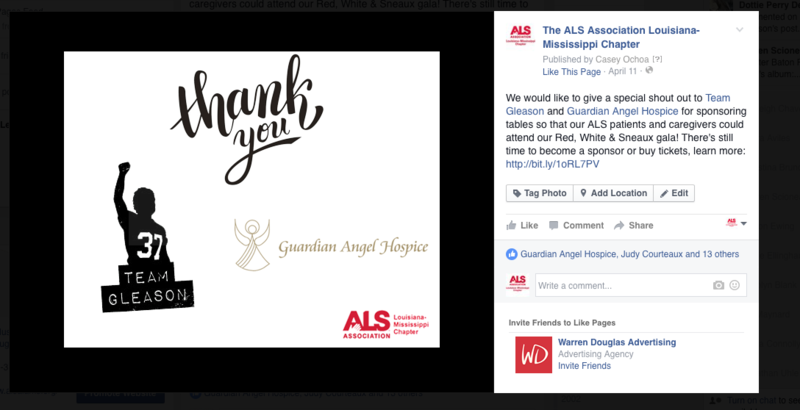 One of my main strategic message plans was to reach ALS target audiences through its social media channels. Spark PR wanted to promoted its upcoming Red, White, & Sneaux gala to drive ticket sales.